Ever have to do a bunch of math and THEN input the results into QuickBooks? It’s not very eﬃcient and can lead to additional errors. 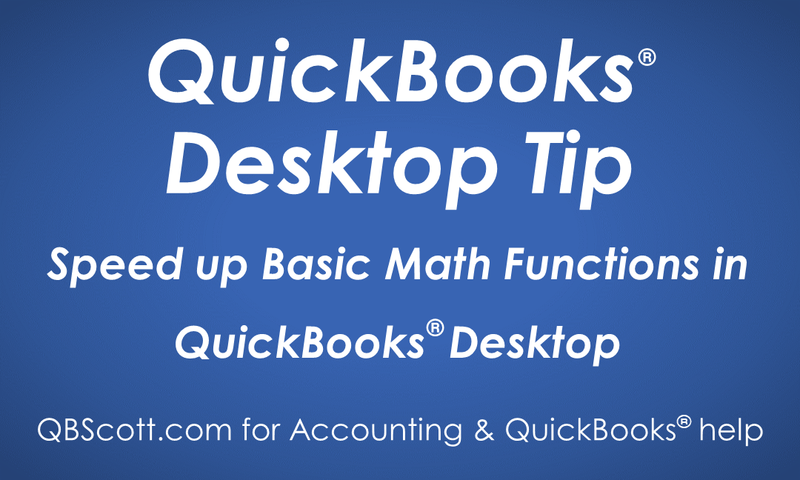 Well, QuickBooks has you covered…they make it easy to do basic math functions (addition, subtraction, multiplication, & division) within certain ﬁelds. 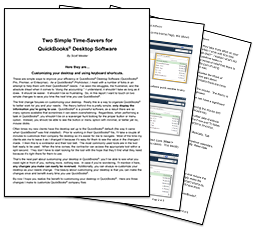 This can greatly increase your productivity, especially if you have a bunch of numbers to work with. Depending on what screen you’re on (Bill/Check/Invoice/etc. ), this function will work with Amount, Amount Due, Quantity, Rate, etc. 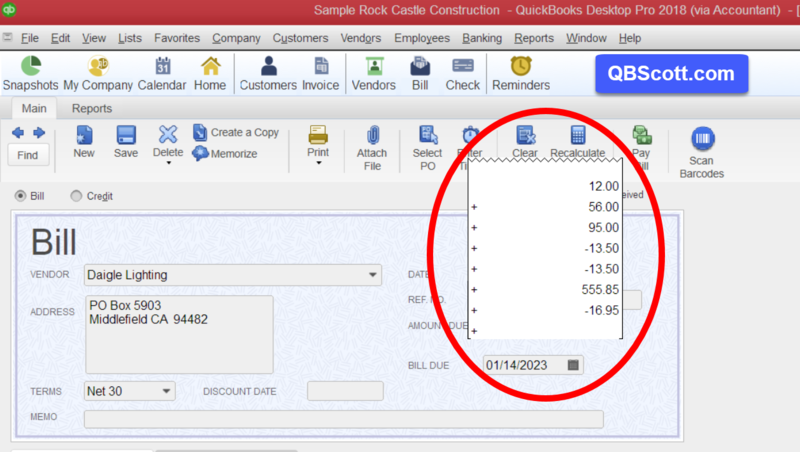 In the example below I had to add and subtract a bunch of numbers and was able to do this within the “Amount Due” ﬁeld on a bill. I entered the ﬁrst number in the Amount Due ﬁeld then hit the “+” key, typed the next number and hit the “+”, etc. Once I had all the numbers input, I hit the “Enter” key on the keyboard. Use the “+” key for addition, the “‑” key for subtraction, the “/” for division, and the “*” for multiplication. Give it a try and see how it works!